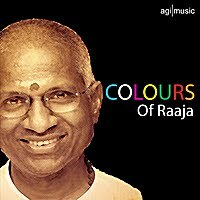 FINALLY, Agi Music releases a compilation of Ilaiyaraaja's background score pieces; quite a quirky collection of pieces on this one, from films Raaja Paarvai, Prema, Aarilirundhu Arubadhuvarai, Kodai Mazhai, Japanil Kalyaana Raaman, Tik Tik Tik, Aur Ek Prem Kahani, Selvi, Aboorva Sahotharargal, Kaakki Chattai, My Dear Kuttichaaththan, Punnagai Mannan, Sathileelavathi and Johnny. I don't know if it is out on CD format as well. I hope this is just a beginning and that many more albums will be released on IR's soundtracks. I wish i could listen to Ilaiyaraaja. Has he ever performed with Maestro AR Rahman? Compilation - that's exactly what this is. Looks like AGI has collected some of the 'filler' tracks found in Echo Audio tapes, along with some instrumental pieces (eg: punnagai mannan) and released them as a compilation. Most of Ilayaraja's fans out there already have these MP3s in good quality. AGI is probably sitting on hundreds of backgrounds that are not available in any format. Hope the next series includes some of those scores. There are a few mistakes in the labels. Eg: 'Sati Leelavathi' track is actually from Marupadium. There weren't enough tracks in Sati Leelavathi to fill the Audio tape. So, the makers filled it up with Marupadium's theme tracks. Kiran - About Sathileelavathi. Actually, it is not a mistake. Marupadiyum track was released as "Flight Theme" in Sathileelavathi audio cassette. About the quality, yes, they are not from the master tapes. I guess the problem is in those days the background score was directly recorded onto the film. They were not recorded on any separate audio tapes. So, it is impossible to get 80s Ilaiyaraaja BGM pieces in recording quality. Have you bought this one? How good is this compilation? No. Waiting for the CD.